Here you will find a wheelbarrow Inner tube to fit just about any wheelbarrow wheel. Smaller tubes for Fishing Trolley wheels, Sack Truck, Mobility Scooter & Garden Carts. Tubes and valve types to suit equipment such as Garden Trailers, Turntable Trucks & trolleys. Our range covers everything for ride on mower, Lawnmower, and Garden Tractor wheels. Larger tubes for Grass and turf Care machinery. Atv, Quad bike, Industrial trucks & Tractors are covered all the way up to 48". To help quickly find the tube you need the section is split into wheel sizes. 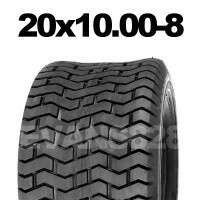 The last size specification number written on the tube or tyre denotes the wheel diameter. So a 18x8.50-8 tube would be found in the 8" section, and a 20x10.00-10 would be in the 10". Need some advice before buying?, try our help page, most things are covered. We have the Best Prices and FREE delivery on orders over £10.00 so Buy Now. 210x65 inner tube with TR87 bent metal valve. 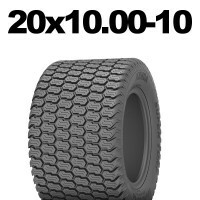 Common 210x65 size tubes for mowers and other small ma..
2.50-4 inner tube. Trolley inner tube with bent metal valve TR87. 2.50-4 inner tubes common size for..
2.80-4 inner tube. with TR87 bent metal valve. 280-4 Common for trolley wheels and other similar man..
8x3.00-4 inner tube with TR87 bent metal valve. Common for garden trolleys and other similar manual ..
3.00-4 Inner tube. Sack truck inner tube with bent metal valve TR87. Manufactured from the best grad..
10 x 3 inner tube with TR87 bent metal valve. 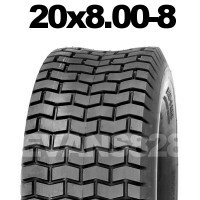 Manufactured from the best grade Butyl rubber these 10..
260x85 inner tube. Wheelbarrow tube with a bent metal valve TR87. 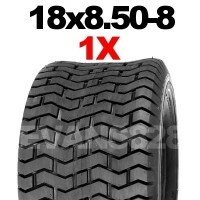 These 260 x 85 inner tubes are com..
3.00-4 Sack Truck & Fishing Trolley inner tube with TR13 straight rubber valve or TR87 bent meta..
10x3 inner tube with Straight rubber valve TR13. Common 10 x 3 size for folding sack trucks and othe..
260x85 inner tube with a straight rubber valve TR13. Common 260 x 85 size for trolleys and trucks in..
3.50-4 inner tube with Straight rubber valve TR13. Common size 3.50-4 tubes for sack trolley wheels ..
4.00-4 inner tube with a straight rubber valve TR13 . Common 4.00-4 size for Mobility scooter wheels..
4.10/3.50-4 inner tube with a straight rubber valve TR13. Common 4.10/3.50-4 size for small truck an..
3.50-4 inner tube with a TR87 bent metal valve. 3.50-4 size inner tube for trolley wheels. Bent stem..
4.00-4 inner tube with a TR87 bent metal valve. 3.50-4 size inner tube for trolley wheels. Bent stem..
11x4.00-4 inner tube with a bent metal valve TR87. Common 11x4.00-4 size for ride on lawn mower whee..
4.10/3.50-4 inner tube with a bent metal valve TR87. Common 4.10/3.50-4 size for truck wheels. Bent ..
3.50-5 inner tube. They come with a bent metal valve TR87. High quality 3.50-5 butyl tubes for 5 inc..
4.00-5 inner tube with a bent metal valve TR87. These 4.00-5 tubes are of good quality and can be us..
4.10/3.50-5 inner tube. Sack truck or trolley inner tube with bent metal valve TR87. 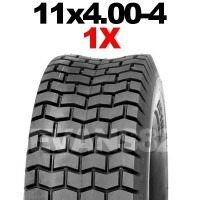 These 4.10/3.50..
11x4.00-5 inner tube with bent metal valve. These 11x4.00-5 inner tubes are common for mower wheels ..
11x4.00-5 inner tube with a straight rubber valve Tr13 . Common 11x4.00-5 inner tubes for mower whee..
3.50-6 Inner tube. These quality wheelbarrow inner tubes come with a straight rubber valve TR13. 350..
4.00-6 Inner tube with a straight rubber valve TR13. Common 4.00-6 inner tubes for wheelbarrows, inc..
4.00-6 inner tube with a bent metal valve TR87. Common for, wheels, including other similar manual m..
4.10/3.50-6 inner tube. Butyl tubes with a straight rubber valve TR13. 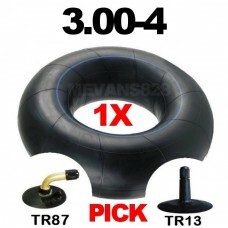 Common for wheelbarrow, these..
3.50-6 inner tube Wheelbarrow inner tube with a bent metal valve TR87. 350-6 inner tubes for use on ..
4.10/3.50-6 inner tube with a bent metal valve TR87. Common for, Garden cart wheels, including other..
13x6.00-6 inner tube. Mower tubes with a straight rubber valve TR13. These 13x6.00-6 inner tub..
145/70-6 inner tube. Butyl tubes with a straight rubber valve TR13. These 145/70-6 tubes are common ..
13x5.00-6 inner tube. 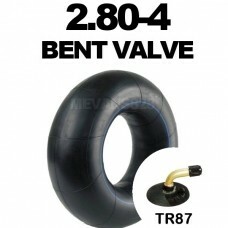 Butyl tubes with a bent metal valve TR87. Common size 13x500-6 tube for small ..
13x6.00-6 inner tube. Butyl tubes with a bent metal valve TR87. Common 13x6.00-6 size for mower whee..
145/70-6 inner tube. Butyl tubes with a bent metal valve TR87. Common size 145/70-6 inner tubes used..
15x6.00-6 inner tube with a straight rubber valve TR13. Common 15x6.00-6 inner tubes to fit Ride on ..
140-6 inner tube with a straight rubber valve TR13. 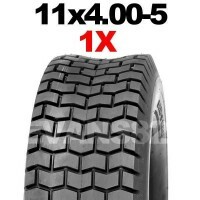 Used by Ride on mowers these 140-6 tubes are hig..
15x5.50-6 inner tube. Quality inner tubes with a straight rubber valve TR13. Common size for Lawn mo..
15x6.00-6 inner tube with a bent metal valve TR87. Common size 15x6.00-6 tube for Lawn mower front s..
140-6 inner tube with a bent metal valve. Common 140-6 inner tubes used for lawn mowers. 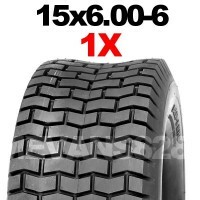 Including o..
16x8.00-7 inner tube. Atv inner tube with a straight rubber valve TR13. 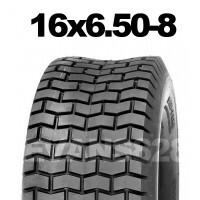 These 16x8.00-7 tubes are a ..
15x5.50-6 inner tube with a bent metal valve TR87. Common Size for Ride on mower 15x5.50-6. includin..
3.50-8 Inner Tube. Wheelbarrow inner tube with a bent metal valve TR87. Made from the best quality B..
4.00-8 inner tube. Quality butyl wheelbarrow inner tube with a bent metal valve TR87. These 4.00-8 t..
4.00-8 inner tube. 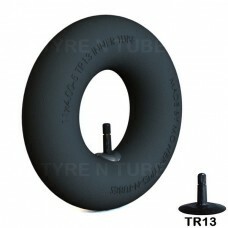 Butyl wheelbarrow inner tube with a straight rubber valve TR13. 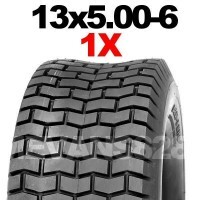 These 4.00-8 tube..
16x4 inner tube. Wheelbarrow inner tube with a straight rubber valve TR13. Common 16 x 4 tube size f..
3.50-8 Inner tube. Wheelbarrow inner tube with a straight rubber valve TR13. These 3.50-8 wheelbarro..
400x100 inner tube with a straight rubber valve TR13. Common size 400 x 100 tubes for many types of ..
3.50/4.00-8 Inner tube. 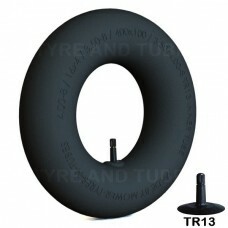 Wheelbarrow inner tubes with a TR13 straight rubber valve. High quality tube..
4.80/4.00-8 inner tube. 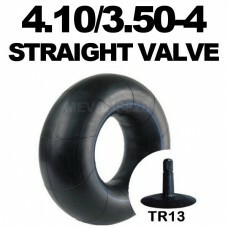 Widely used inner tube size with a straight rubber valve TR13. Main use for ..
5.00-8 inner tube. Forklift inner tube with a bent metal valve JS2. Common 5.00-8 tubes for road and..